Buy Big Juice UK e-liquids at SmokeyJoes.biz for next day delivery! 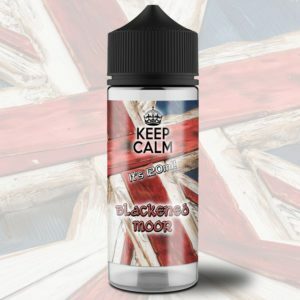 BigJuiceUK is a Flavour Manufacturing company, specialising in the development, production and supply of Flavours and E-Liquids, to the consumer directly, and also supplying E-Liquids, Flavours, and its components separately to E-Liquid chains and shops around the UK. The company has grown vastly since it began in 2003 branching out alongside the E-Liquid industry in 2012, and the rise in demand for E-Cigarettes not only from a retail aspect but also as a replacement therapy for cigarettes has prompted the need for the industry to be regulated and monitored accordingly. At BigjuiceUK we create a product that meets all the standards required to enable it to be used safely by consumers. We pride ourselves on being one step ahead; this has enabled the business to thrive throughout the tough changes that have been thrust upon the industry in terms of TPD compliance. BigJuiceUK is a Flavour Manufacturing company, specialising in the development, production and supply of Flavours and E-Liquids, to the consumer directly, and also supplying E-Liquids, Flavours, and its components separately to E-Liquid chains and shops around the UK. The company has grown vastly since it began in 2003 branching out alongside the E-Liquid industry in 2012, and the rise in demand for E-Cigarettes not only from a retail aspect but also as a replacement therapy for cigarettes has prompted the need for the industry to be regulated and monitored accordingly. At BigjuiceUK we create a product that meets all the standards required to enable it to be used safely by consumers. We pride ourselves on being one step ahead; this has enabled the business to thrive throughout the tough changes that have been thrust upon the industry in terms of TPD compliance.